Over a decade ago, when I was studying theology, one lecturer told us how we could become immortal. It had nothing to do with religion or a possible afterlife. It had to do with scholarship. The trick was this: you write an article for a scholarly journal in which you make an outrageous or downright silly case, with which you know every other scholar will disagree. You can then be sure that every time another scholar writes on the same topic, he or she will have to spend some time refuting your hypothesis, even if only in footnotes. So your name will appear in thousands of articles and books. Scholarly immortality! I wonder if Stevan Eldred-Grigg had the same objective in mind in writing Phoney Wars? Eldred-Grigg’s latest book (co-authored with Hugh Eldred-Grigg) presents much factual and documentary detail, but it is more polemic than history and it argues its case stridently. As Eldred-Grigg surely knows, many (most?) historians will disgree with his case. It is that it would have been better for New Zealand never to have joined the Allies in fighting the Second World War. Just as stridently, Eldred-Grigg argued in his earlier book The Great Wrong War (reviewed on this blog) that New Zealand was wrong to be involved in the First World War. As I said in my review of The Great Wrong War, it is relatively easy to be negative about the First World War because, to most people, it appears to be just the clash of greedy, rival empires. But, for most people, the Allies in the Second World War had the admirable aim of destroying Nazism and Japanese militarism, and it is far more difficult to denigrate or satirise their role. Like it or not, the Second World War is still (as I said in another posting) popularly seen as The One True Good War. The tone of his argument rarely changes in the 300-plus pages between these two statements. Eldred-Grigg never concedes that defeating an expansionist totalitarian state might have been a good aim in itself. Even more damagingly, he rarely acknowledges that (alien though it may be to us later generations) majority popular New Zealand sentiment at that time did see this country as an extension of Britain, and saw nothing “woolly” in helping a “motherland”. No, it isn’t how we think in the early 21st century, but it was a persuasive motive in 1939. After his introduction, Eldred-Grigg (Chapter 1) gives a once–over-lightly of New Zealand’s foreign and domestic policies in the 1930s, presenting the country as ruled by conservative interests with the dominant media being conservative newspapers, despite the popularity of the Labour government’s social democratic welfare policies. He makes much of the evils of empires and colonialism, especially as New Zealand was involved in ruling Pacific islands that would have preferred to be independent. This sets him up for a long argument in Chapter 5 that the Allies were massively hypocritical to claim to be defending “freedom” and “democracy” when they themselves (the British, French, Dutch and Americans) kept control – often by force – of large empires. Moving on to the first phase of the war, September 1939 to June 1940, (Chapter 2) Eldred-Grigg argues that it was not to New Zealand’s economic advantage to go to war. We could, he claims, have found trading partners other than war-beset Britain. Britain was itself a repressive country and we were in effect supporting their repressive empire. (He lingers over the unpopularity of Commonwealth troops – including New Zealanders – with Egytian nationalists.) And then there were all those dreadful things the government did in the way of wartime censorship and cracking down on pacifists. When the war really gets going in Europe, June 1940 to December 1941, (Chapter 3), Eldred-Grigg says that it was simply not our war but, as his chapter title puts it, “A War Far Away”, and therefore of no concern to us. After some debates and misgivings over the matter, the Labour government and most unions agreed to conscription. Much of what Eldred-Grigg says in this chapter about the inconveniences of rationing, the attempts to conscript wealth as well as men, and the opposition National Party’s failure to persuade the Labour government to form a waritme coalition, are the standard fare in history books concerning this period. Not standard fare, however, is his chapter (Chapter 4) dealing with the Pacific war, December 1941 to December 1942. Eldred-Grigg strains hard to present a tolerant and forbearing Japanese government goaded into war by American and British trade practices and embargoes. When Japan signed on to an alliance with Nazi Germany and Fascist Italy, “Wellington made the mistake… of thinking that the alliance meant Japan was getting ready to go to war against the British Commonwealth.” (p.181) Goodness! How naïve of Wellington! Eldred-Grigg keeps reminding us that the Guomindang government of China was not a democracy (and therefore, presumably, we should feel less sympathy for the Chinese when they came under Japanese attack); and he ridicules the New Zealand government for now having to rely on United States naval assstance as opposed to the British naval assistance they thought they could rely on. New Zealand fears of Japanese invasion were, in Eldred-Grigg’s telling, absurd because Japan was so far away. Besides, weren’t New Zealanders (and other Allies) nasty racists in the demeaning images of Japanese whicch they used in wartime propaganda? In his Introduction, Eldred-Grigg has said “The war, contrary to the propaganda of the time and to subsequent memory, did not unite New Zealanders: it divided them.” (p.13) In Chapter 5 and the following chapter, he is determined to “prove” it. He presents all the privations of war (rationing, blackouts, digging air-raid shelters) as intolerable impositions, and he plays up the many complaints that New Zealanders made. I would interpret this as the functioning of a healthy, open democracy, which still had much room for free speech despite censorship; but Eldred-Grigg interprets it as signs of incipient class warfare. As for the “invasion” of American troops, Eldred-Grigg focuses on disorder, sexual misconduct, the “Battle of Manners Street” and other brawls between Kiwis and Americans, having decided that any evidence of more affable relationships between allies is not worth reporting. Comes Chapter 5, dealing with the last two years of the war, (January 1943 to September 1945) and Eldred-Grigg claims this was another “phoney war” as it was by now only a matter of time before the Axis powers were defeated. New Zealand civilians were only playing at supporting the war. There was much discontent. This time, he concentrates on the reluctance of most soldiers to return to active service after they had been given three months furlough at home; and the limited ways in which the government made use of women in the workforce. Finally, in his summing-up (Chapter 6), Eldred-Grigg basically damns the Allies for using nuclear weapons to end the war; says the outcome of the war was simply to create the Cold War between the USA and USSR; damns Britain and France and the Netherlands – now assisted by the USA – for trying to hang on to their colonial empires when they had said they were fighting for democracy; and again asserts that New Zealand would have better remained neutral. As I was at pains to say in my opening paragraphs, there is much factual and documentary detail in this book, but there is also no doubt that it is very partial information and suborned to the purposes of polemic. Then there are many lapses into improbable speculation. Eldred-Grigg says New Zealand’s Labour government was partly coerced into declaring war by fear of a conservative backlash. He claims: “The Labour government, by choosing neutrality, would have had to work hard to cope with protests and lobbying by conservatives within New Zealand. The National Party might perhaps have sponsored a political coup, backed openly by the governor-general and secretly by London. Motor cavalcades might have rumbled through city streets bearing troops – young middle-class men willing to do the job of putting down the working class as their fathers or grandfathers had done so thoroughly in the days of ‘Massey’s Cossacks’ ”. (p.66) The “would have” and “might haves” in the above statement mark this as speculative fantasy. As in much polemic concerning the (Western European and American) Allies, there is much tacit whitewashing of the role of the Soviet Union. From Winston Churchill down, nobody has ever doubted that the bulk of Hitler’s armies were destroyed on the Eastern Front in battles that carried off more millions of Soviet lives than the combined death rolls of all other Allies combined. But this doesn’t excuse such statements (with regard to the initial invasion of Poland) as “Moscow… stood aside after signing a non-aggression pact with Berlin.” (p.61) Not true. In accordance with the pact (really an alliance, since Uncle Joe continued to supply Adolf with war material for the next two years), Germany and Russia divided Poland between them and held joint victory parades. Later, when he gets to Operation Barbarossa (p.156), Eldred-Grigg manages to say nothing about the enfeeblement of the Red Army due to Stalin’s massive purges, and hence the initial catastrophic defeats the Soviets suffered. 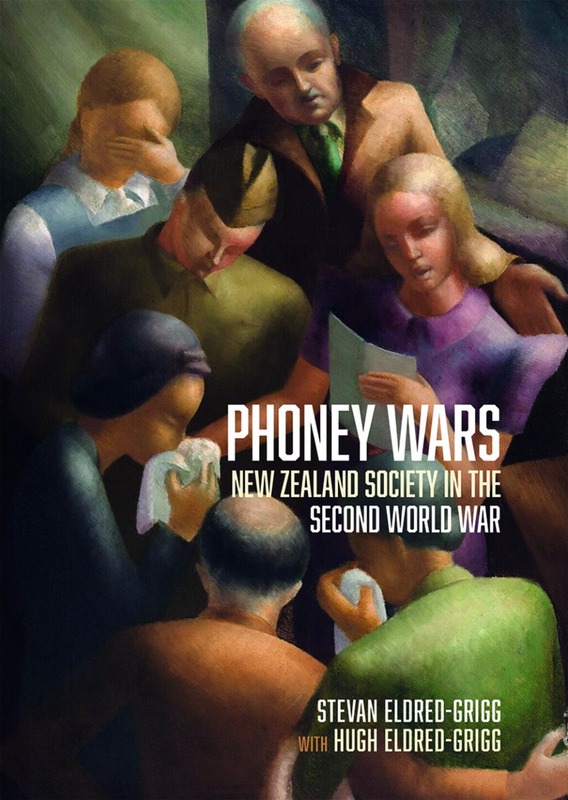 With regard to New Zealand, there is little mention of the CPNZ’s sudden conversion from being anti-war, and seeing the war as a mere tussle between “bourgeois democracies”, to being a militantly pro-war party once the USSR was attacked. When he is busy belittling the idea that, at the declaration of war in 1939, democracies were pitted against the Nazi dictatorship, Eldred-Grigg remarks: “A … glaring weakness in the theory was that the target was only one dictatorship. One-party police states were thick on the ground in Europe. Why was war not declared on Portugal or Latvia or Hungary?” (p.74) But this is not a rhetorical question, even if the author thinks it is. Portugal, Latvia and Hungary (which did later join the Axis) were not, in 1939, following an aggressive expansionist war policy. Germany was. Eldred-Grigg notes that the New Zealand press played up the courage and resilience of Londoners under the Blitz. He then goes on: “Nobody told the households of the dominion that German civilians were also coping pluckily. Air raids after several months were killing far more civilians in Germany than in Britain, yet the news media in the dominion stayed eerily silent about their suffering.” (p.122) Later he reminds us that by the end of the war, for every one British citizen killed in German air raids, 12 German civilians were killed in Allied air raids. (p.232) I do not doubt his statistics here and, at this distance from the Second World War, it is perfectly right to account carefully for all civilian deaths. Nevertheless, Eldred-Grigg is himself “eerily silent” about such matters as Nazi behaviour towards civilian populations in the countries they occupied. Like his presentation of Germany as a peaceful, progressive nation in The Great Wrong War, this is a case of over-compensation for the received Hollywood image of a clear-cut morally-uncomplicated war. The last sentence here takes no account of what were reasonable fears and precautions at the time. Over eighty years later, it is easy for us to make generalisations about an enemy power’s strengths and intentions because we have many years of researched and documented sources behind us. But these were unavailable at the time. A tone of smugness creeps in when inverted commas are placed around the word “essential”, as if we would be more acute at judging what were and were not essential things in the same circumstances. Then there is this fatuous advice given to ghosts: “New Zealand should have been doing its best to diversify from rather than to back up its trade with Britain. Alternative markets were not easy to find, admittedly, but neither the government nor exporters did a lot to look for those markets, even though they saw that waging war was wrecking the British economy… Imperial loyalty led many people to say that the dominion should stick with Britain in spite of its new poverty. Other allies, though, were seeking their own advantage. Why not New Zealand?” (p.334) Note the throwaway clause “alternative markets were not easy to find, admittedly.” (And if that were so, how much more difficult would they be to find in the middle of a war?) Note also the implicit cynicism – this country is getting battered so, for our own advantage only, let’s look for another to trade with. Speaking of cynicism, note the unsubtle tranference of guilt in the following statement: “Killing, sickening or maiming the workforce is an odd way to safeguard an economy, yet that was what happened when the dominion declared war on the Axis. A total of 12,000 soldiers, sailors and airmen died during the fighting. New Zealand killed a higher percentage of its troops than any other country in the British Commonwealth. Patriots took pride in that death rate, thinking it evidence of bravery, but the tally might instead be seen as proof that the policy of going to war had gone badly wrong.” (p.338) Yes, folks, that devious Labour government of Michael Joseph Savage and Peter Fraser deliberately lined up 12,000 New Zealand soldiers, sailors and airmen and shot them. The deaths were entirely their fault. In a famous critique of the way Edward Gibbon dealt dismissively with Christian martyrs in his Decline and Fall of the Roman Empire, Cardinal John Henry Newman said “You cannot argue with a sneer.” His point was a good one. Even when the facts of a history book are verifiable, it is the author’s tone of voice that conveys much of a book’s meaning. Eldred-Grigg’s (very selective use of) facts and contemporary documents is often informative, but equally often the tone of voice is pure sneer. The North African and Italian campaigns are also referred to as “sideshows”. We are agreed that by far the greatest pummelling the Wehrmacht took was administered by the Red Army. Even so, one would have to be very ignorant indeed of the strategy of the Second World War not to understand why the Pacific War, North Africa and Italy were important. “All military effort by the dominion was more or less meaningless,” pontificates Eldred-Grigg “… the Axis would have lost the war anyway, whatever the dominion did or did not do.” (pp.363-364) Such a statement begs more questions than I could number. Like Stevan Eldred-Grigg, I was born long after the Second World War, and I have no desire to sound like some boozy old RSA member, exaggerating his wartime feats. But in this sort of statement, Eldred-Grigg knows he is waving a red rag at many old bulls. Is it in moments like this that he is bidding for immortality and hoping that a barrage of angry rejoinders will allow his publishers to say that this unbalanced book is “controversial”? You have now heard enough of this sort of thing from me, so I will refrain from deconstructing Eldred-Grigg’s use of the word “phoney” in both his title and in two chapter headings. But as Eldred-Grigg indulges in counter-factual history (i.e. speculating “what if?”) in his closing chapter, I think I should be allowed to do the same. Eldred-Grigg asks why New Zealand couldn’t have had a “Holyoakean” reaction to the outbreak of the Second World War. He means, why couldn’t Savage and Fraser have reacted the way Keith Holyoake did to the Vietnam War? Faced with the demands of a powerful ally (the USA) for New Zealand to get involved in Vietnam, Holyoake managed cleverly to ingratiate himself with the ally while sending only a very small volunteer force overseas and never contemplating conscription. Ignoring the fact that the circumstances of the two wars were very different, and that public opinion in New Zealand had moved on and was very different in the 1960s from what it had been in the 1940s, Eldred-Grigg thinks he has a point to make. Eldred-Grigg belittles the Atlantic Charter in which Roosevelt and Churchill declared their war aims to be the promotion of peace and democracy. Says Eldred-Grigg: “While many – perhaps even most – citizens thought the charter noble, it was only words.” (p.167) He then goes on to condemn the duplicity of Britain, France and others for attempting to hold on to colonial empires by force once the Second World War was over. Britain disposed of India promptly, but fought in Kenya and Malaya. France fought losing wars in Algeria and Indo-China. Both were involved in the foolish 1956 adventure in Egypt. The Dutch tried, and failed, to hold on to the “Dutch East Indies” (Indonesia). So Eldred-Grigg’s point is valid, right? Not really. He has stopped his historical clock too soon. In fewer than 20 years after the Second World War, mass opinion in the West had turned against the idea of holding on to colonial empires; and governments were no longer using the rhetoric of empire that they had still used in the 1940s. Okay, so here’s my counter-factual. Let’s say that statements like the Atlantic Charter were never made. Let’s say that (like their enemies) these two allies had spurned support for democracy. How much would public opinion not have been stirred, in later years, to move away from support for imperialism? This is at least as good a “what if?” as Eldred-Grigg’s. By which I mean it’s at least as bad a one. As you may be aware from earlier postings, one of my hobbies is to read (or re-read) Elizabethan, Jacobean and Caroline plays. Thus I’ve written posts on George Chapman’s BussyD’Ambois, the anonymous Arden of Feversham, John Marston’s TheMalcontent, Thomas Heywood’s A Woman Killed With Kindness, Philip Massinger’s The Roman Actor, and John Ford’s ‘Tis Pity She’s a Whore. But one scribbler of that age upon whom I have never ventured to comment is William Shakespeare. The reason is obvious. If you are the type of person who reads this blog, you have probably long since had your fill of Shakespearean criticism. Which one of his plays has not already been dissected, analysed, anatomised and eviscerated to death by hordes of busy critics? It would take a huge library to contain just one copy of every book, article and essay that has been published on the chap’s works. Yet the heretical thought occurs to me that not all Bill’s works are of equal value, and not all have deserved the same amount of attention. If Shakespeare had written only the trashy Titus Andronicus (it enjoyed a brief revival of interest a few years back when a fashionably violent American production was filmed) or the lame Two Gentlemen of Verona or the yawnful Pericles, Prince of Tyre, he would be remembered, if at all, as a minor playwright of his age. If I were a sadist wanting to bore an audience rigid, I would force them to watch the painfully unfunny The Merry Wives of Windsor. Mind you, good and vigorous productions can redeem some of Sheakspeare’s weaker work. About fifteen years ago, in London, I saw a two-part, five-hour-long compression of Bill’s three Henry VI plays, generally regarded as his apprentice work, and it was dramatically gripping. (I note the recent British TV series The Hollow Crown also compressed the three Henry VI plays into two much briefer parts). What interests me, though, is that between Shakespeare’s duds and his great tragedies and comedies (which everybody has seen, studied or read) there are many very good plays which are undervalued. Recently, when I was convalescing after leaving hospital, I told a friend that I would really enjoy listening to good, uncut recordings of some of Shakespeare’s plays. “Which ones? ” he asked, and I nominated five of these good, undervalued and more rarely-produced Shakespeare plays. They were Coriolanus, Love’s Labour’s Lost, All’s Well that Ends Well, Timon of Athens and The Winter’s Tale. Each of these I have seen (on stage or screen) only once or twice in my life, and each would be produced far more rarely than Shakespeare’s greatest hits. So, after this long prologue (“More matter, less art,” I hear you muttering) I come to Coriolanus. Only twice in my life have I seen productions of this play. Once was a BBC TV production back in the 1980s, when they were filming the Complete Works of Shakespeare. The second time was on stage in London in 2000 at the Gainsborough Warehouse, with Ralph Fiennes as Coriolanus and Barbara Jefford as his formidable mother Volumnia. (Fiennes much later appeared opposite Vanessa Redgrave in a film version, with a modernised setting, which I have not seen.) All the critics are agreed that Shakespeare’s play, probably written in 1607-08, was the Bard’s last real tragedy. 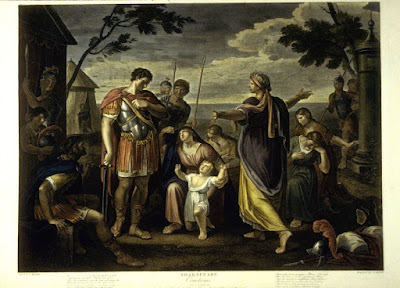 All agree that, with some elaborations, it follows closely the story of Coriolanus as told in North’s translation of Plutarch (some speeches, such a Volumnia’s last pleading, copy North almost word for word). All agree that it is a complex political story that scrutinises the behaviour of both the ruling classes and the plebeians. T.S.Eliot regarded it as the most perfectly-formed play by Shakespeare. Yet, after all the praise, there is the awkward fact that it has never been a favourite with audiences. The famous Victorian actor-manager Sir Henry Irving, with his eye on the box-office, famously said that as a theatrical attraction Coriolanus was “not worth a damn”. 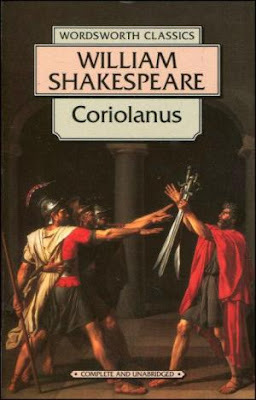 As I listened to a good uncut-text recording of Coriolanus, and followed the text in G.R.Hibbard’s Penguin edition, I kept asking myself why this carefully-plotted play, which reaches a genuinely wrenching conclusion, should be so under-esteemed. I think I now know why, but I will save my brilliant conclusion until later. First, to orient you, one of my inevitable synopses. Coriolanus is set very early in the history of the Roman Republic, not long after the last Tarquin king has been driven out, but many centuries before Rome is a great imperial power. Essentially Rome is a little state on the Italian peninsula, sometimes at war with other little states and tribes, such as the Volscians. Caius Martius is a young military commander who is also fiercely patrician (aristocratic) and a despiser of the plebeians (lower classes). War is his trade, in which he has been encouraged by his proud mother Volumnia, who says he is never so noble as when he returns from victory covered in wounds and scars. It is clear from the play’s very opening scene that the plebs already know how much Caius Martius despises them. They are on the point of rioting for bread, and name Caius Martius as their enemy. Caius’ more tactful friend Menenius tries to calm them down with the famous (infamous?) fable of the belly and the members; but when Caius Martius himself enters, his speech is inflammatory. (His first words in the play are “What’s the matter, you dissentious rogues, / That rubbing the poor itch of your opinion / Make yourselves scabs? ” I, i). It is fortunate for Caius that at this point war breaks out with the Volscians, whose commanding general is Tullus Aufidius. Caius and his fellow commanders Lartius and Cominius go off to lead their troops. Caius fights brilliantly. In a crucial engagement, he alone fights his way into the gates of the Volscian city Corioles and is able to deliver it over to the Romans. 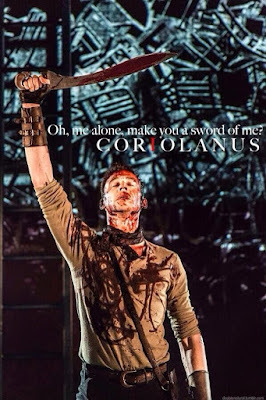 (Later in the play he will boast “Alone I did it!”) For this feat, he earns the official name Coriolanus. Coming back to Rome (Act 2), Coriolanus is greeted as a hero by patrician and plebeian alike, and it is clear that the senators want to make him consul. But there is a catch. For his consulship to be confirmed, he has to get the approval of the plebeians. And the traditional way of doing this is to ask publicly for their support. This notion disgusts Coriolanus – that he, an aristocrat, should have to ask the approval of the stinking rabble to win a position of authority! Under duress, and having been advised by his more temperate friends to be tactful, Coriolanus goes to the public place where he must seek the plebs’ votes. But (in one of the play’s best scenes, II iii), when the commoners suggest in a friendly way that they will support him, he can’t restrain himself from answering sarcastically and patronisingly. Even so, the puzzled citizens still confirm him as consul. But as soon as he leaves the stage, the two Tribunes Sicinius Velutus and Junius Brutus enter. We have known since the beginning of the play that these supposed guardians of the plebs’ rights are no friends of Caius Martius Coriolanus, and they begin to work on the commoners, reminding them of Coriolanus’s contempt for the lower classes and getting them to withdraw their support for Coriolanus’ consulship. In banishment outside Rome (Act 4), Coriolanus suddenly declares “My birthplace hate I, and my love’s upon / This enemy [Volscian] town.” (IV iv) He meets with the Volscian commander Tullus Aufidius. 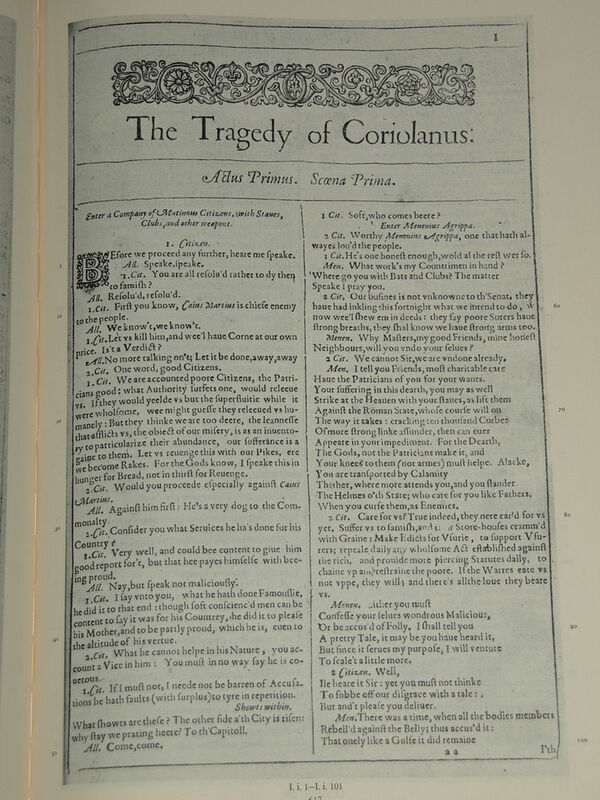 In two of the longer speeches in the play (IV v), each praises the other’s military skill – whereupon, with little preparation, Coriolanus says he will join the Volscians and war against Rome. Aufidius accepts his offer and Coriolanus swears an oath on it. He proceeds to attack and pillage outlying Roman settlements, being much admired by the Volscian soldiers. (Before Act 4 is over, however, we know that Aufidius is jealous of him, does not really trust him, and would be happy to destroy him in due course.) 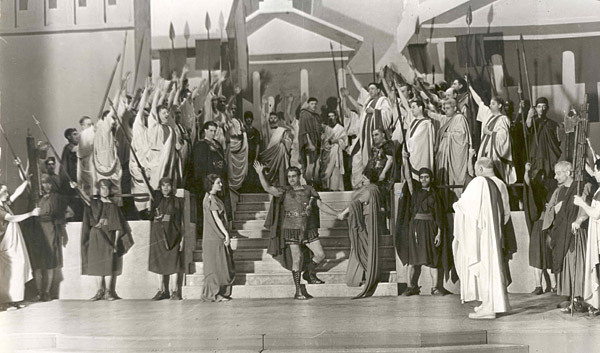 As Coriolanus approaches, there is panic in Rome, with Menenius rebuking the Tribunes for goading Coriolanus and the fickle plebeians now saying they were tricked by the Tribunes into withdrawing their support from him. At the very end, Coriolanus’ “nobility” (in both the social and moral sense) is recalled and we are invited to see him as a tragic hero. But in what way is he tragic? Is it because he was destroyed when he at last yielded to the human qualities of mercy and fellow-feeling for his family and compatriots? Or is it because his nobility and martial qualities couldn’t be accommodated by lesser mortals? Or was he simply killed by his own foolish aristocratic pride, class feeling, intransigence and refusal to compromise? G.R.Hibbard’s 1967 Penguin edition says this is “a play of action, not reflection” and remarks (truthfully, I think) that “almost devoid of lyricism, the poetry of Coriolanus has a hard, stony, metallic timbre”. What Hibbard does well is to note the political parallels between the world of the play and Shakespeare’s England. He notes that many Jacobean noblemen and students at the Inns of Court would have endorsed fully Coriolanus’ railing against the lower orders – but he also notes that the appeals of the Tribunes to the plebs are very much like the demagogic way elections to the Commons were conducted. This brings us to what is for many the key issue of the play. What is it saying politically? When I take William Hazlitt’s Characters of Shakespear’s [sic] Plays off my shelf, I find Hazlitt rebuking Shakespeare for seeing things too much the aristocrat’s way, and endorsing an aristocratic bully as a tragic hero. Hazlitt remarks: “Coriolanus complains of the fickleness of the people; yet, the instant he cannot gratify his pride and obstinacy at their expense, he turns his arms against his country.” Others, however, have seen the play as showing the hollowness of military pride – Coriolanus is the miles gloriosus (boastful soldier), despite his real military skill. The fact is, the play is fully capable of two diametrically opposite readings. 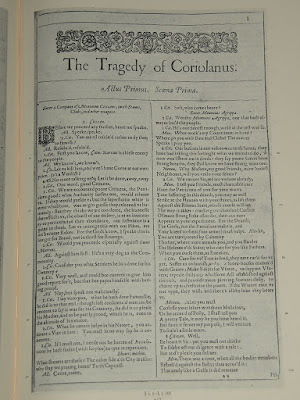 EITHER Coriolanus is a noble man who will use all his talents in the service of the state but will never compromise with the grubbiness and deceit of politics: OR he is an immature man, dominated by his mother and a bad upbringing, who is a threat to the state because he is incapable of seeing the common people’s point of view. As Coleridge said, Shakespeare is really impartial. It is not adequate to see this as a play of an arrogant man who cannot work with plebeians and regards their praises as insults. The Tribunes are demagogues who work up the people. The crowd becomes a mob. The mob is fickle – now fearing Coriolanus, now hailing him for his victories, now giving him their vote, now being persuaded to withdraw their vote, now cursing the people who persuaded them to withdraw their vote etc etc. Coriolanus has brief moments of political shrewdness, as when he says “my soul aches / To know, when two authorities are up, / Neither supreme, how soon confusion / May enter ‘twixt the gap of both and take / The one by th’other.” (III i) In other words, he is aware that a state with divided authority will be weakened. And yet Coriolanus does eventually commit treason and become an enemy to his country – something that Shakespeare and his contemporaries would not have seen as a trivial matter. So, after all this careful balance and careful plotting on Shakespeare’s part, why did Henry Irving say Coriolanus was “not worth a damn” as a theatrical attraction, and why has it never been a favourite with audiences? My own theory is that, while some have seen Coriolanus as a hero, this is a play that does not invite us to identify with the main character, or to see the world with his eyes. Only two or three times in the play does Coriolanus speak soliloquies, and they are brief and are reactions to immediate events. In effect, we never hear his innermost thoughts – and perhaps there are no innermost thoughts to hear. I set much store by the fact that this was Shakespeare’s last real tragedy. Hamlet, Macbeth, Lear – and even Othello, if only in the second half of his play – all unfold their minds to us. 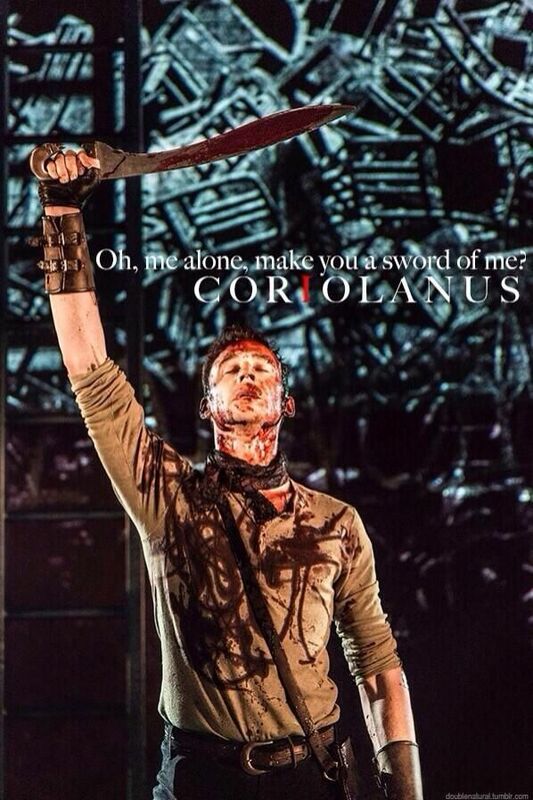 Coriolanus does not. He is a public figure only, rather forbidding, rather unapproachable. This was almost certainly Shakespeare’s intention as he balanced off one of his most schematic plays. But it does not allow us to warm to the hero, whose worst railings will always seem like sheer abuse to much of the audience. Modern political footnote: Despite not being a favourite with audiences, Coriolanus has sometimes acted as a magnet to producers, directors and re-writers of a political bent. Coriolanus himself can be re-framed as a potential Fascist dictator, or as the strong man who is a necessary corrective to feeble and corrupt democracy. At the other end of the political spectrum, it is known that at the time of his death in 1956, the Communist Berthold Brecht was working on a re-write of Coriolanus which would present the Tribunes as genuine guardians of the workers’ rights in opposition to a Fascist general. Brecht never finished his re-write, but another German writer took a well-aimed crack at Brecht. 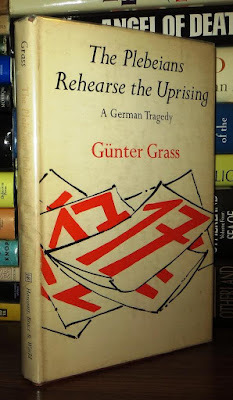 In the early 1960s, Gunther Grass’s play The Plebeians Rehearse the Uprising, depicted a theatrical director in East Berlin in 1953 called “the Boss” (clearly based on Brecht) rehearsing his version of Coriolanus at the very time Communist tanks are crushing a real workers’ uprising. In effect, the play points to Brecht’s failure to make any public gesture of support for workers in a genuinely revolutionary situation. Brecht apologists at this point lose their tempers and point to a sarcastic poem about the Communist government which Brecht wrote – but which was never published in his lifetime – and to a very mild rebuke which he sent to the Communist government, but which criticised only their methods, while supporting their act of suppression. Again, Brecht’s very mild rebuke was not published in his lifetime, so it remains true that Brecht, in 1953, made no public gesture of support for the workers. More recently, there have been a number of modern-dress productions of Coriolanus (including the movie starring Ralph Fiennes) which clearly intend to draw parallels with modern events, but they do not alter the fact that politically, Shakespeare’s play itself does not take sides. Recently, I read Alan Hollinghurst’s novel The Sparsholt Affair in order to review it for a newspaper. It is not my intention to review the novel here, but I will say a few things just to orient you to the context. In this case, the author is skewering a certain sort of camp chatter, where every innocent word is interpreted as a smutty joke, double entendre and sly references rule and one is always made aware that this is really a code designed for an in-group. Please note one very obvious thing here. There are gay men who are camp, but “gay”(= homosexual) and “camp” (= prissy, theatrical, self-dramatising and affected) are not interchangeable terms. I have met heterosexual men who are camp, and homosexual men who are stolid and blokey. What interests me here is how Jonathan (and by extension the author) is exasperated by a language that does not say clearly what it means and relies on nudge and wink. Jonathan’s (Hollinghurst’s) reaction to Mark’s conversation is very much my reaction to many novels that come my way. Talking round about a subject without directly addressing it was once subterfuge when gay writers were still closeted. Henry James was a master at not saying what he meant, and many have imitated him since. Now, the style has become a plague in what are loosely called “literary novels”. Sorry for the brevity of this week’s rant, but there is nothing more to say on the subject. This is a very odd way to begin a review of a novel by the erudite Patrick Evans, but as I read Salt Picnic, I couldn’t help feeling how easily it could be turned into a conventional thriller. Very naïve young woman comes to Spanish island in 1956. Mysterious Jewish-American photographer persuades her to look into the affairs of a German doctor, who lives in the same boarding house as she does. She snoops and fossicks through the doctor’s effects. “Aha!” we immediately think. It’s only eleven years since the Second World War ended and the photographer must be after some Nazi war criminal, especially as Franco’s Spain is one place where such a person could well be hiding out. We await some horrible revelation in the denouement. Actually there is an eventual horrible revelation and the story does (more or less) take the form of an investigation. But all is not as we might have at first assumed and the doctor is not German, even if he is a dodgy person. More to the point, Salt Picnic is definitely not a thriller. 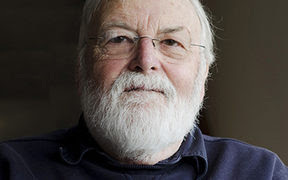 In his author’s note, Evans explains “This novel concludes a trilogy that reflects the influence of the writing of Janet Frame (1924-2004) on my creative imagination and my understanding of the world”. 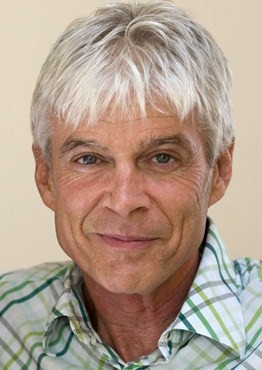 The “trilogy” began with Gifted (2010), which was specifically about Janet Frame, and went on with The Back of His Head (2015 – reviewed on this blog), which deals with completely fictitious characters in the New Zealand literary world. Evans now calls The Back of His Head the conclusion of his “trilogy” and Salt Picnic the second book thereof. 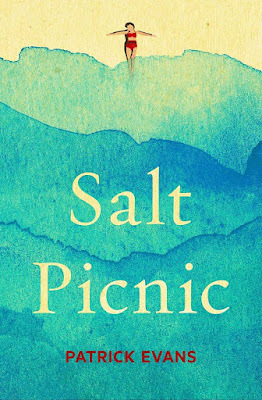 He goes on to explain that the protagonist of Salt Picnic, Iola Farmer, despite sharing some of the history and outward characteristics of Janet Frame, is not Janet Frame but is a fictitious character. One on-line reviewer has already suggested that Evans is possibly being especially tactful to avoid the wrath of the people who control Janet Frame’s estate. This all requires a little unpacking. Like Janet Frame, Iola is, to English people, a “colonial” (presumably New Zealander). Like Frame, she spends some months of 1956-57 living on the island of Ibiza. In her past she has had some traumatic experience – for Janet Frame time in a psychiatric hospital; for Iola Farmer, a story she wrote which might have led a woman to commit suicide. Like Frame, Iola gets pregnant but aborts the child … or does she? How Iola loses the child is unclear in the novel, and at one point we are told “all the time the child still inside her that she’d thought of killing but in the end, in the end she hadn’t, had she, not at all: she’d brought him back with her. She didn’t kill him after all.” (p.211) Like Frame, Iola remembers something dreadful that happened to a sibling (Frame’s sister Myrtle drowned when Frame was an adolescent; Iola remembers something happening to “Douglas”). She is intensely interested in language and the meanings of words, and the novel is in some sense an account of “the making of a novelist” as Iola digests experience and gains confidence as a writer, so that “Here they come, here come the words, here come the stories”, as the concluding words of the novel say triumphantly. So I could go on, picking out more Frame-like characteristics in the novel’s protagonist. Yet, forsooth, Iola Farmer is not Janet Frame, says Patrick Evans. Iola is a fictitious character; the people among whom she moves are fictional; and much of what happens to her is fiction. So let’s imagine we’ve never heard of Janet Frame. Let’s consider what the novel itself appears to be saying. On the simplest level it deals with Europe as the inevitable lure for earlier generations of “colonials” doing their OE. Iola remarks: “What else was there to do in this Old World where everything was finished, everything had already taken place, all the work had been done? What else but to look at it, what else but to see.” (p.23) Worn out or not, Europe is still an essential destination for an aspiring New Zealand writer. Just as she is – at the novel’s opening – literally a virgin in sexual matters, so is Iola metaphorically a virgin where European culture is concerned. But perhaps European culture is not what she needs in order to develop? Symbolically, when she visited the Louvre, the Mona Lisa had been removed and the blank space it left on the wall appeared more numinous than the painting would be. This is the blank page on which she will write. This is a culture in which civil war atrocities are still not spoken of. One such is exposed in the denouement. Before the writer can produce anything, she must first read the world that is before her. Iola often misreads the world. There are matters of mistaken identity. She is given somebody else’s luggage. The reputed German doctor is really an English doctor. Other people are mistaken in things, too, but Iola has a special sort of naïvete. She admires the handyman and gofer of the boarding house Antonio, and speaks with him. Then she begins to have exalted ideas of him: “But poetry – that was what he couldn’t speak about – that was what she couldn’t reach in him. Slugs and snails and puppy dogs’ tails: fine. But not poetry. It must be there - no one has no poetry in him at all, she was sure of that. It was just a matter of finding where it was. The romance of him, that’s what it was. To find things about him that had happened, the colour of him, his taste. Those things about other people that suddenly made them your own so that they never really left you and were always part of the story you told yourself about you-and-the-world.” (p.103) But the Antonio she eventually comes to know is nothing like this poetic figure. Nor is the little boy Vicente the impish innocent she at first thinks he is. The two “sisters” Magdalena and Concepcion do the cooking and cleaning up at the boarding house. Iola interprets them as hardy peasant sorts. She later discovers their more sinister backstories, related to the civil war. In all these cases, the real person who is exposed hardly resembles Iola’s imaginings. And yet (a writer’s paradox) often the imagined person is more precious to the aspiring writer than the real person. Iola’s greatest misreadings concern Daniel Bernard and the English Dr Almond. For the New Zealand innocent, Daniel Bernard has all the exciting alienness of an American, feeding her with delicious Hershey bars, pointing his Leica in all directions and apparently aiming to be a great photo-journalist like his hero Robert Capa and (clearly a left-winger) eulogising Ernest Hemingway. Bedazzled by images she has seen in romantic movies ( Roman Holiday et al), Iola is seduced by him and sees him as a romantic partner. Yet it is he who sends her on a spying mission, breaking into the doctor’s room to find information on him. And he in the end he does not conform to her romantic image of him. As for Dr Almond, he seems an old-fashioned tweedy sort of English gent, with a slightly military air and a peremptory speaking style, doing Times crossword puzzles and listening to classical music. But there is a nasty history lesson attached to him too. He is more extremely right-wing than Daniel Bernard is left-wing. As well as reading the world clearly, the writer has to find an appropriate language. Her own language. This is another insistence of the novel, as it so often focuses on language itself. There is much mention of Ibiza as more a Catalan island than a (Castilian) Spanish one, with characters often speaking Ibicenco rather than Castellano. There is much evidence of characters talking across one another, with no real understanding. However, Iola is aware that her difficulties are not only with the local languages, but with English itself. She is quick with word games and crossword puzzles. But there are episodes in which she says something utterly conventional and dull, and realizes that she is channelling her mother and saying what her mother would have said, rather than expressing her own thoughts and feelings. She is looking for a language that will express not only her own viewpoint, but her sense of alienness in the Ibiza she is slowly discovering. At one point she battens on a book purloined from the suspect doctor’s room, Charles Doughty’s Victorian classic Travels in Arabia Deserta. Its made-up, pseudo-Elizabethan locutions seem to her a language entirely fitting for Doughty’s purpose of expressing how foreign the desert is to him. But then how does she convey in writing the foreign colloquial chatter she hears all around her? Quite apart from the Castellano- or Ibicenco-speaking people, there are the languages of the two men who have the greatest impact on Iola. Daniel Bernard (often called just “the American”) speaks racy American-English. Dr Almond speaks (or affects to speak) upper-middle-class English-English. The novel makes much play of how odd their pronunciation sounds to Iola’s Kiwi ears. When the American refers to Carl Jung, Iola hears him say “this guy Young” and assumes there is somebody called Guy Young. She rankles at the Amercan’s pronunciations “turdle” (=turtle), “toytoys” (= tortoise) and so forth, and when he speaks of “movies”, she still wants to call them “films”. In the 1950s, New Zealanders were already used to watching American films (think of all those romantic movies Iola has seen); but these moments remind as that, back then, New Zealand was not as thoroughly saturated with American idioms as it is now, thanks to 24/7 multi-channel TV, the internet etc. As for the Englishman, he has the proprietary attitude towards the English language and its pronunciation that many Englishmen still assume. He pronounces salt as “sault” and corrects the colonial Iola when she refers to the PallMall brand of cigarettes. He insists it be said as “PellMell”. (Most non-English people, including New Zealanders, would probably pronounce it “PaulMaul”). Iola is either baffled or intimidated by these two variants of the English language. When with the Englishman there is (at first) an element of cultural cringe. When with the American, there is excitement and attraction. But is it going too far to suggest that both these non-New Zealand varieties of language are temptations that Iola has to overcome before she can speak comfortably in her own voice? I have dealt with Salt Picnic as dealing with Europe and Spain as they were once; with the attraction of the old OE; and with the development of a writer in terms of gaining a clearer vision of reality and finding her own voice. Of course ticking off ideas and themes like this tells you nothing about the novel’s quality or impact. There is a major down side to the novel. Put simply, Iola’s (initial) naïvete often becomes oppressive. Given that she is a young adult and not a child, does she have to be so ignorant of the Spanish Civil War when she comes to Ibiza? Or were most tourists to that part of the world then completely uninterested in politics and history? Possibly so, but we do sometimes have Iola discovering the bleeding obvious as if it is a great revelation. I might be told that Janet Frame had both her naïvetes and her venturesome side. But then Patrick Evans has told us that this is not a novel about Janet Frame. It’s about a fictitious character called Iola Farmer doing fictitious things. So the burdens of credibility and verisimilitude still rest with the author.